A few years ago I wrote up a (still relevant!!) whisky gift guide for the holidays. If you’re looking for a gift for Dad (or for a dad) and you know he “likes Macallan 18/Johnnie Walker Blue Label/Jack Daniels”, and you’d like to get him something special, then check out that post first. 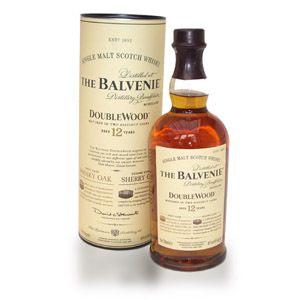 To summarize it, if you don’t know what to get other than “scotch”, and you know he might like whisky, but you don’t know what kind, get a Balvenie 12 DoubleWood. It’s still the best value around and has a little bit of everything (except peat). It’s pretty much the safest bet in whisky gifting around $50. For something safe under $100, Oban 18 is a great deal and is a very similar style. For more than $100, old standby Macallan 18 is joined by the new Balvenie DoubleWood 17. But seriously, go read that first so I don’t have to cut and paste it all here. If your Dad primarily drinks beer or drinks whisky exclusively in cocktails or on the rocks, try finding something that will be tasty neat (perhaps waking up his palate to the joys of good whisky neat) but will also mix well. 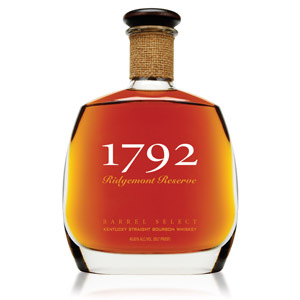 A solid bourbon like Weller 12, Booker’s, Blanton’s, or 1792 Ridgemont Reserve fits the bill nicely. There’s not a lot of supply out there for older, more expensive bourbons, but if you can find one over $60 it’s probably also a good bet. Alternatively, you could opt for a tasty blended scotch that’s good on the rocks, like Great King Street: Artist’s Blend or (cheapskate!) Bank Note 5 year. If your Dad has a taste for fine wine, play on that by finding a single malt aged in wine casks, which will have some familiar notes. 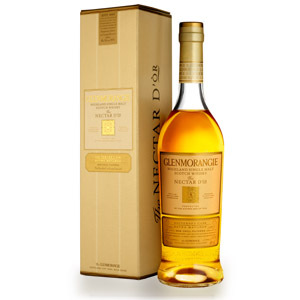 Glenmorangie Nectar D’Or 12 or 15 year, aged in Sauternes casks, is one of my favorites. Other good choices are The Balvenie PortWood 21 year ($$! ), Highland Park 18, or the very high-proof Aberlour a’bunadh. For a trendy Irish single pot still option, look for newly-available-in-the-US Green Spot or Yellow Spot. If your Dad already enjoys whisky neat, one-up his favorite by jumping up an age statement category or getting a special release. 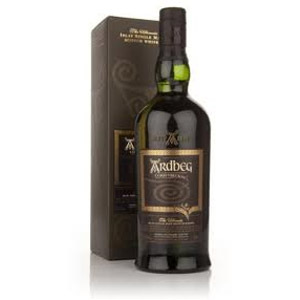 Ardbeg Corryvreckan, Lagavulin Distiller’s Edition, Talisker Distiller’s Edition, or whatever the current yearly release from Glenmorangie is are good options. If your Dad is already an aficionado, you may have to wade into the murky waters of independent bottlings to find something unique. For this, find a liquor store with a wide selection of independent bottles (not just your local big-box store), locate someone knowledgeable, give your price range (I wouldn’t dip below $80 for this, probably not even below $100) and trust his or her opinion. Focus on distilleries your Dad may not have tried (or heard of), or unusual ages or expressions for familiar distilleries, like extra-young peated malts, over-18 single-grains, unpeated malts from traditionally peated brands, or ex-bourbon malts from traditionally sherried malts. 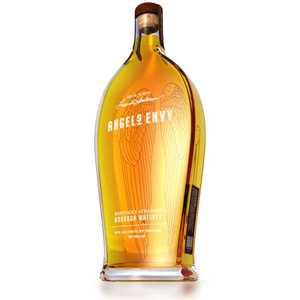 If you want a good story, why not get him a bottle of Angel’s Envy Bourbon. It’s a tasty, well-rounded, not-overpowered bourbon finished in port barrels for a little extra fruit and honey. Besides, what better gift for Father’s Day than a bottle of bourbon still made by the son and grandson of company founder and bourbon legend Lincoln Henderson? If all else fails and you just want something unique and special, splurge on a bottle of Compass Box Hedonism. The name says it all. Surprised no one commented on this – great list as always Nathan. Appreciate all the effort you go to provide concise recommendations like this one. I’m sure it will stand as a good selection for a few Father’s Days to come! 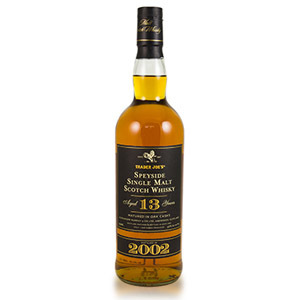 I was quite pleased with what I received this year from the kids – the BenRiach 12 year old matured in sherry wood (it was on my standing list of ones to try). Have you ever tried this one Nathan? Would be curious as to what you think compared to your highly-ranked Glendronach 12. To my taste buds, it seems to come from a bit of a milder base spirit, but still with that comparable sherry influence. I’ve only tried the peated BenRiachs (which I wasn’t crazy about) and haven’t gotten around to trying the others. I did think the malt profile on Curiositas was very thin and insubstantial, which is why I haven’t been rushing to try the others. That said, some time in sherry oak sounds like exactly the thing BenRiach malt needs, so I should make the effort. Cheers!